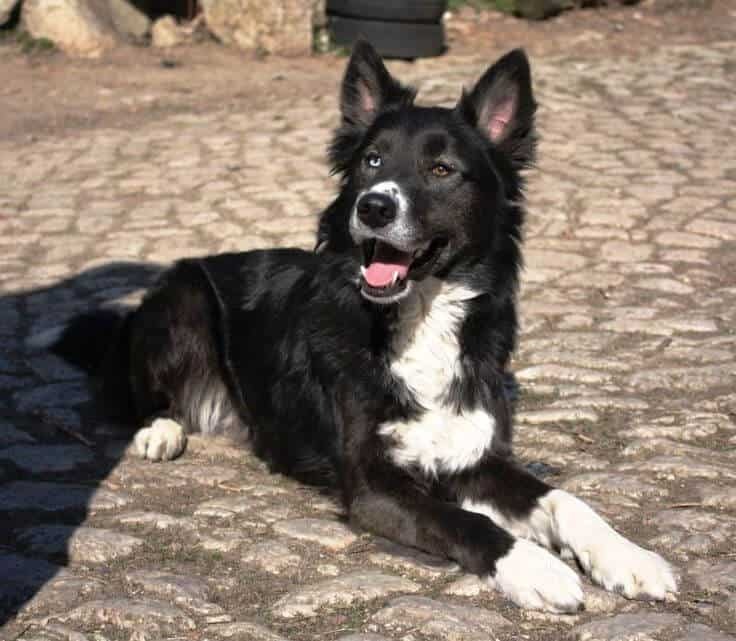 The Border Collie Husky mix is a good looking designer dog, whose high energy and loyal companionship can bring endless joy to your life, if you can handle it. In this post, we’ll take a more in-depth look at this breed of dog, from its temperament and behavior to its appearance, training, and health concerns and more. 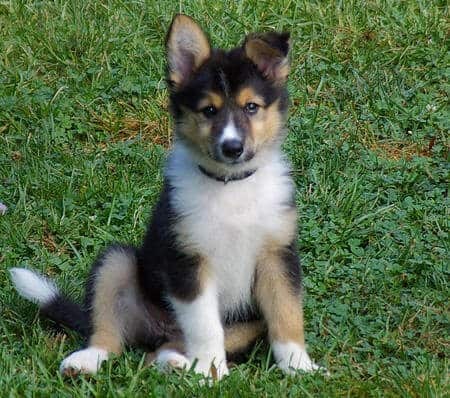 What is the Border Collie Husky Mix? The well-liked and intelligent dog is a Siberian Husky Border Collie mix that exhibits the best characteristics of both parent breeds. 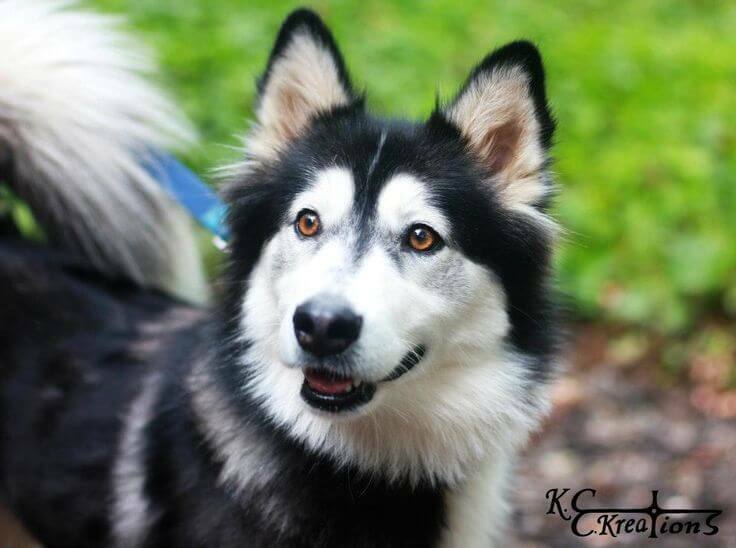 The Siberian Husky is an athletic and intelligent breed, a natural survivor in cold climates and a hard worker. These pups are at their happiest when set with a task and a mission to accomplish something. Similarly, the Border Collie loves to work and is known for herding farm animals with a can-do attitude. The Border Collie is great at keeping an eye on things and is an extremely agile dog. As you can gather, the Siberian Husky Border Collie mix is filled with energy, a breed that can give chase for a full day, especially after other animals. The Border Collie Husky mix is friendly and has an eagerness to learn. They are enthusiastic and love to take part in activities and outdoor fun. The breed is highly intelligent and fiercely loyal, lending to their ability ti display a very laid-back demeanor. Keep in mind, the boundlessly energetic mix coupled with the parents’ love for work means lots of activity, space, and attention. The mix is best kept socializing and outside of smaller apartments. Get ready to keep up with this pup! Now that we’ve covered the basics of this breed, let us take a look at the physical appearance of Border Collie Husky mix in most cases. This is a short to medium-sized dog that measures about 20 inches at the shoulder, although this varies depending on genetics. Their weight is a reflection of the Husky’s muscular genes, with the females weighing between 30 and 40 pounds. The males typically weigh between 40 and 45 pounds. They are lean, beautiful dogs with handsome facial features that are a highlight of the coming together of two originally beautiful parent dogs. The coat is silky and rich. They can come in various colors and shades of gray, brown, and black. They also tend to have striking blue eyes. Of course, this is the trademark many people know them for. Maintaining the Border Collie Husky mix can be a lot of work especially if you are not a generally active person. The mix is very energetic, which we will highlight further in this article, and requires a lot of exercise. Lack of exercise could actually lead to the dog developing health problems and temperament issues. We have compiled a detailed list of the best products for your Border Collie Husky. 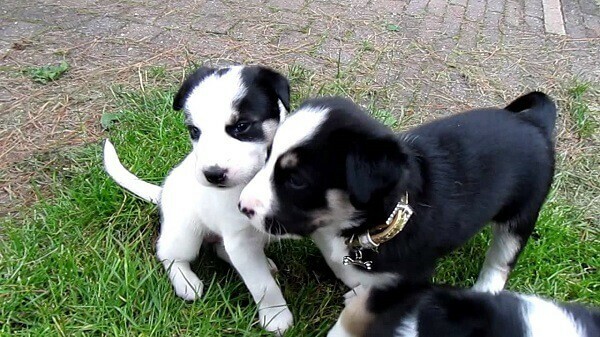 To better understand the temperament that the Border Collie Husky mix has, we can split it into 5 different sets. This will better help us understand what sort of dog we are dealing with. The Border Collie Husky mix is very receptive to talking and loves to be included in the conversation around the house. 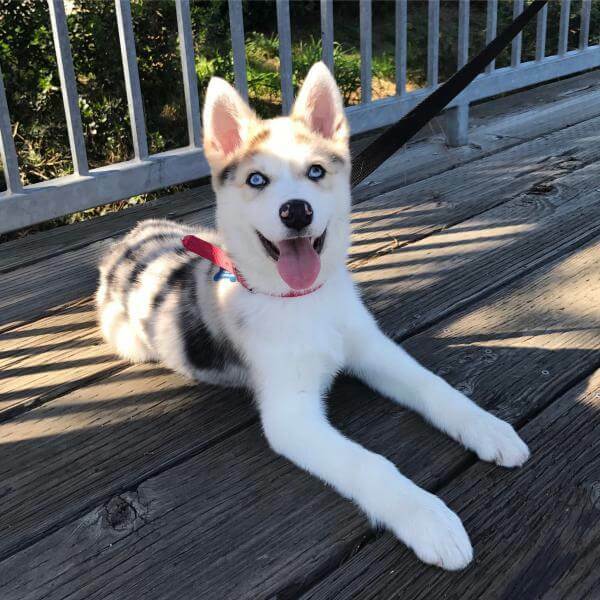 Most of this quality comes from the Husky side of the breed, which loves to “talk to its companions” while they are playing. They also have a very clear need for touch and will nuzzle you when they want attention. They love being the center of attention, which they seldom lack since they have a capacity to pull you with their incredibly brilliant and beautiful eyes. 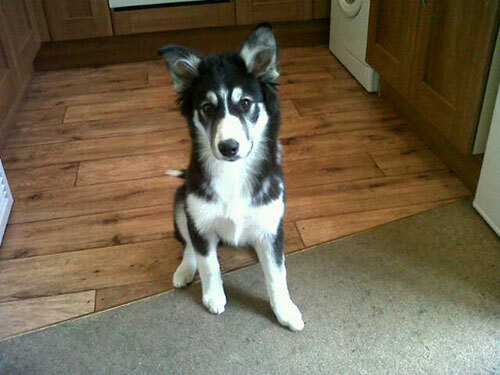 The expressiveness of the Border Collie Husky mix makes it ideal for families with kids and other animals. This is because it means the dog is extremely social and can get along with most others. 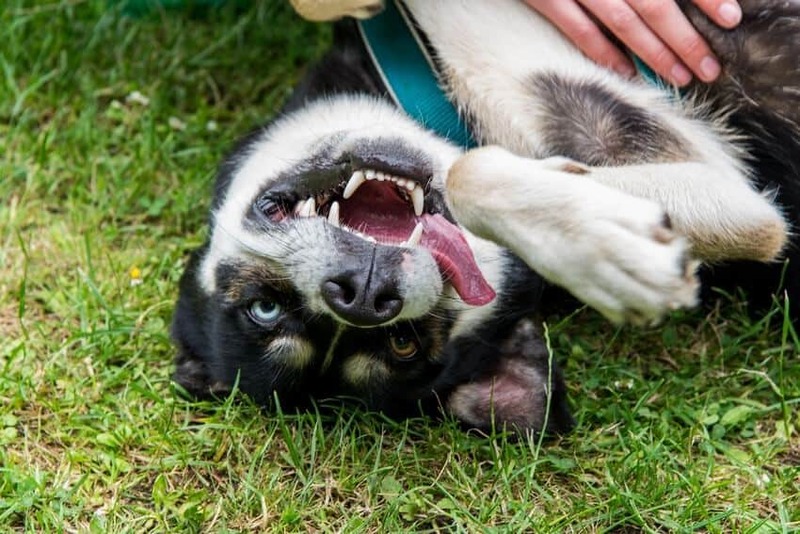 Most Border Collie Husky mix owners have had as much fun playing with the dog in the park, as they had cuddling on the sofa. This is a dog mix that exhibits an intelligence that is above average dog intelligence levels. These levels of intelligence cannot be burned by just employing physicality to the dog’s regime. A Border Collie Husky mix owner should assign the dog a lot of challenging activities in order to tap its full energies. On more than one occasion, it has been observed that these dogs may behave quite aggressively if they are not involved in activities. They put up a combative behavior that is hard to tackle, which although uncommon, can be an issue when it comes to other aspects of this dog’s life. Keeping it engaged is, therefore, the most ideal way to get the best out of this dog mix. Coming from a pedigree that is known for boundless energy, this dog has excellent endurance and can run around for hours. They also possess excellent hunting ability. This is why they are sometimes observed to be chasing cars, livestock or even children around the neighborhood. They are therefore the perfect dog for a lot of outdoor activities that would include playing fetch, catch, and with Frisbees. They are also excellent running companions for owners that like to go for a morning jog or are athletes. To make sure that this dog does not start running amok in the house and tearing things up, you have to make sure you give him a regular regime of exercise. This will help maintain a lean, muscular figure. It will also ensure that the dog is tired out and will therefore not have the energy to act out in the house. If you are a Border Collie Husky mix owner, try and plan activities and puzzles that will keep the dog occupied at all times. This is a dog breed that could be challenging to train. Their measurable intelligence is also coupled with a strong streak of stubbornness. Although this dog mix is a fast learner, this stubbornness makes it a tad challenging for the impatient owner. The speed of their learning and their need to be constantly stimulated mentally mean that as an owner, you have to use the right methods, and incorporate patience, and activities that maintain their interest. There is concern about leash training and some other behavioral issues that might require that you turn to a professional dog trainer. It is also a good idea to make sure that they are taught to socialize early. This will help them cut down the stubborn streak and learn better and will help overcome shyness in successive years. The Border Collie Husky mix is also a master escapist. These dogs are adept at finding excellent escape routes and tricking their way out of things. This means that you cannot completely rely on fences to teach them boundaries. These are very loyal dogs and instantly form an attachment to their owners and the family that adopts them. They are known to seek comfort and love from the owners and do not love being left alone for long periods of time. Even though they are incredibly loyal, the Border Collie Husky mix can however not be used as guard dogs. This is a job that is better suited for other dog breeds such as the Rottweiler and the Doberman. This dog mix breed can, however, become possessive about its owner and can sometimes react violently when there are visitors or strangers around the home. This behavior can, however, be curtailed early with socialization and proper training. What Do You Need to Know about Their Health? The Border Collie Husky mix is often seen to be healthier than both parent dogs and can also live longer than either of them. They have a lifespan of about 20 years on average. This is however dependent on the amount and quality of care they receive. They require exercise and good dietary management throughout their lives, although their activity is bound to reduce after 14 years. Do not allow them to be sedentary. Without enough exercise, this dog breed is prone to bone disorders including Osteoarthritis, invertebral disc disorder, and chronic myelopathy. To avoid such problems, it is advisable that you purchase a puppy from a breeder who can provide a full medical history of the parent dogs and any health concerns therein. When choosing toys for this particular dog, choose toys that are challenging and engaging. Do not forget that this is a highly intelligent dog breed that requires daily stimulation both mentally and physically. We can’t stress enough here that this dog breed requires extensive exercise. A walk more than once a day is not unusual. Even when playing with them, they require that you do it for long periods of time, in order to run out their boundless energy. The best thing to do is go jogging with your dog if you are into fitness, especially around parks and open spaces. Pay close attention to their temperament, and mood, which will let you know whether their exercise regime is adequate. A bored Border Collie Husky mix can easily become mischievous and destructive around the home. This may include ripping curtains and couch cushions. This dog breed is prone to shedding. This comes primarily from the husky heritage. They also overheat quite easily and this further accelerates the shedding. Brushing their coat once a day, is recommended in order to make sure that they do not leave dog hair all over your house. This is also a win-win situation, since as social animals and will appreciate the added attention. If you live in a house with a yard, you might want to pay close attention to your fencing situation. The Border Collie Husky mix takes fences as challenges and are known to be escape artists, who dig under or hop over fences. These are dogs that require attention in all areas of their lives. They suffer from separation anxiety when left alone, and which can manifest in violent behavior. They also require socialization at a young age, in order to avoid tricky situations. Once this is done, they can comfortably live together with other pets around the home, including cats and birds. 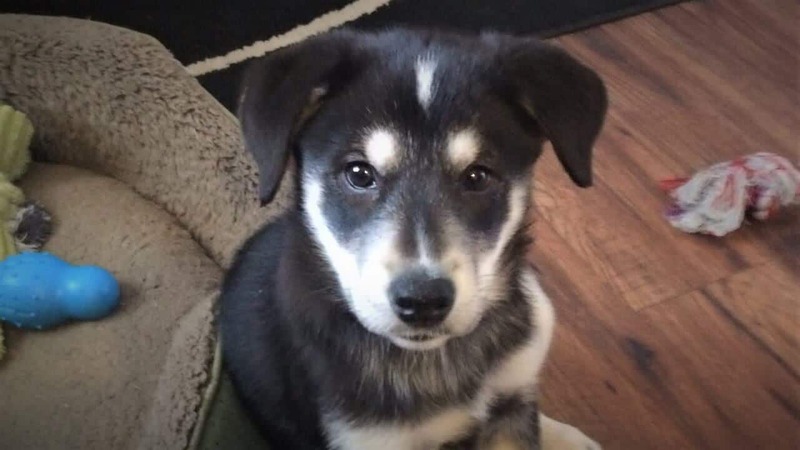 What are your thoughts on the Border Collie Husky Mix? Let us know in the comments below. Do I Need a Guard Dog? All you Need to Know! Does anyone know a breeder of this mix? I would go through an adoption process. We used pet finder! It has this breed and a lot of husky mix dogs. We found ours at the local kennel. A year old and fully trained with tricks we are still discovering she knows. She was abused prior however so she comes to work with me and doesn’t leave my side. No issues with training and I’m so glad my daughter can run with her for hours. We tag team the effort as they love the exercise. As an Amazon Associate we earn from qualifying purchases. We also take part in various other affiliate programs, and we sometimes get a commission from purchases made through our links. © 2019 - PetDt.com. All Rights Reserved.